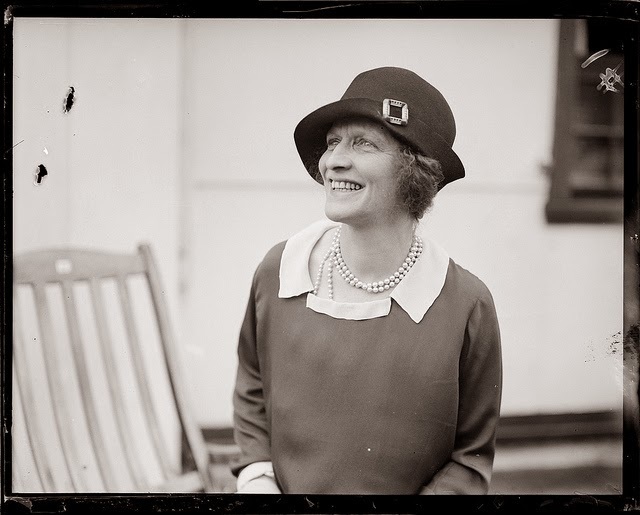 Nancy Astor wasn't the first woman elected to the British Parliament. She wasn't even British. She lacked ties to the suffragette movement. But the American was the first woman to take her seat in the House of Commons, and her "maiden speech" was a 1920 debate about restrictions on alcohol. In a delicious 1956 BBC interview, Astor recalls those difficult days as the first female parliamentarian. The other members "would rather have had a rattlesnake than me" in the House of Commons, she said. Recalling how many MPs simply refused to speak to her, she shares that Winston Churchill later told her "we hoped to freeze you out," a tactic still in play in many boardrooms today. And she says he told her, "When you entered the House of Commons, I felt as if a woman had entered my bathroom and I had nothing to protect myself with except a sponge." The interview's worth a listen for many reasons, including her mimicry of Churchill. Astor faced the same issues many public-speaking women today face in public life. She dressed in a type of uniform, avoiding fashionable clothing to keep her clothing out of the discussion, something Hillary Clinton would do decades later. She was the subject of suggestive remarks, including one in this very first debate, when Sir John Rees, alluding to her well-known objections to drinking, ends his remarks by saying, ""I do not doubt that a rod is in pickle for me when I sit down, but I will accept the chastisement with resignation and am indeed ready to kiss the rod." I shall not begin by craving the indulgence of the House. I am only too conscious of the indulgence and the courtesy of the House. I know that it was very difficult for some hon. Members to receive the first lady M.P. into the House. [HON. MEMBERS: “Not at all!”] It was almost as difficult for some of them as it was for the lady M.P. herself to come in. As historian Richard Toye notes in The Aftermath of Suffrage: Women, Gender, and Politics in Britain, 1918-1945, "No biography of an MP would be complete without an account of his or her maiden speech," and this one was a first not just for the speaker, but for the nation. What can you learn from this famous speech? Acknowledge the tension: When you know that your presence causes tension, talk about it in your remarks. Voicing the audience's thoughts takes away some of the tension, for you and for those listening. Another way to look at this: Say it about yourself, before letting anyone else characterize the tension for you. Have and express your opinion: Too often, speakers in controversial situations go to great lengths to avoid expressing strong opinions--and the result is always a forgettable set of remarks. You may not be debating a rule, but make sure we know where you stand on your topic. Talk about the unseen audience: Astor, with few ties to the fight for women's votes, did not uniformly adopt women's issues. Nonetheless, as Toye notes, Astor received a "flood of letters...by women from across Britain who considered her to be ‘their’ MP." But in this first debate, she uses the unseen audience of women to good effect, speaking directly about their potential power. As the only woman in the chamber, she would be difficult to counter when she chose to speak about her fellow women. I've been enjoying reading The Aftermath of Suffrage, edited by Toye and Julie Gottlieb. It includes a host of data on, among other things, early women MPs and their share of speaking in committees in Parliament. Astor, a witty and talkative woman, has had many--perhaps too many--quips attributed to her without documentation over the decades. 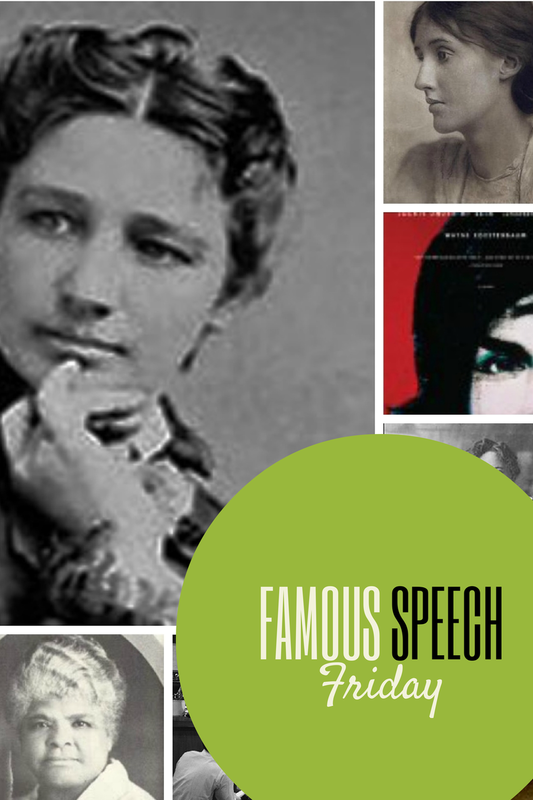 In effect, we might think of that as another way of silencing or editing her, changing how she will be seen in history, just as happened with the famous speeches of Sojourner Truth and Queen Elizabeth I, among many other women. Highlighting her sharp tongue plays into many centuries-old tropes about women being nags, shrill and talking too much, all ways of attempting to embarrass them into silence. Thankfully, debates in Parliament are well-documented (although, as Toye points out, male MPs' lewd comments about women in the chamber were rarely reported in the press). You can read a transcript of the entire debate as well as a transcript of her campaign leaflet, and listen to the BBC interview. I'll be thinking of Nancy Astor when I speak in Parliament later this month, to the Fabian Women's Network, on what goes into a TED-quality talk. Register here to join us in London on 30 October!